Paystubs are about more than just the "bottom line." Everyone loves pay day. For employees, it’s a day when bank accounts are replenished and bills can get paid. For HR professionals, it marks another payroll processing cycle in the rearview mirror. Getting paid on time, every time might seem like magic. When the dust settles, employees are left with slips of paper to help make sense of it all: their paystubs. 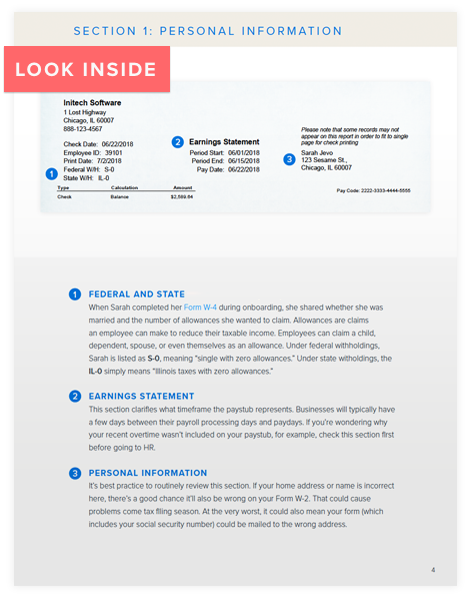 The humble paystub includes some of the most important information an employer can convey to its staff. It includes a breakdown of how much they are being taxed, what benefits are being paid for, and other pieces of critical compensation information.